Aahan Technologies provides you a unique design for your website which makes you stand at the top of your business. Aahan Technologies we not only create a website and mobile app for you we also create a brand for your company. In which we create Logo, Flyer, Banner design, Visiting cards and many more. We create all website fully responsive so your customer can see your business website on any device. We provide services like website design, website development, software development. If you are looking to develop an eCommerce website for your business or any Informative website development we are here to help you. Our support team is always available here to help you. We have the best team of Mobile App Developers, who have designed and developed apps for almost all types of industries. Aahan Technologies is the best mobile app development company. We understand your business needs and the importance of your time and money. Aahan Technologies provides services like SEO ( Search Engine Optimization ), SMO, SMM, PPC to engage your user. 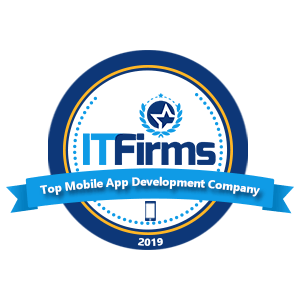 We have the best team of Mobile App Developers, who have designed and developed apps for almost all types of industries. The expert Mobile app developers at Aahan Technologies. We, at Aahan Technologies are a bunch of dedicated and resourceful service providers who aim to outsource a varied number of services to our clients includes Enterprises, Agencies and Startups. and other on-demand services and we delve into a process of understanding the nuances of your requirement. After thorough analysis, your specifications are mapped out into a demo link which is forwarded to you for approval. Enhancements and suggestions are integrated and voila, we are ready for launch. At Aahantechnologies we have the best app developers in the industry to create an user-friendly Apps for Web and Mobile Application. Aahantechnologies is here to unearth the real potential of your idea through an app. "Very fast and efficient service. Great communication and offers good value for money. A credit to Aahan technologies"
"Very professional team, fully engaged with the goals credit goes to Aahan Technologies"
"They have a great team and completed my work in a timely manner we will work again. Thanks Aahan Technologies"
Hire expert developers & programmers from Aahan Technologies. Our technical experts and skilled developers offer you quite a huge range of services in Web, iPhone and Android development.